Soon the leaves will change color, and the temperature will drop. You’ll take out the sweaters and boots and make sure there’s plenty of space for pictures on your camera. Fall is one of the best times to visit the western White Mountains.  It’s the perfect time for a drive through the White Mountains National Forest, craft fairs, and a hike. Did we mention there’s also a wine festival? Come spend a day, a weekend or longer with us this fall. After all, we’ve got some of the best fall foliage in the world! If you’re looking to get a jumpstart on your holiday shopping then visit the 21st Annual Lincoln Fall Craft Festival over Columbus Day weekend. 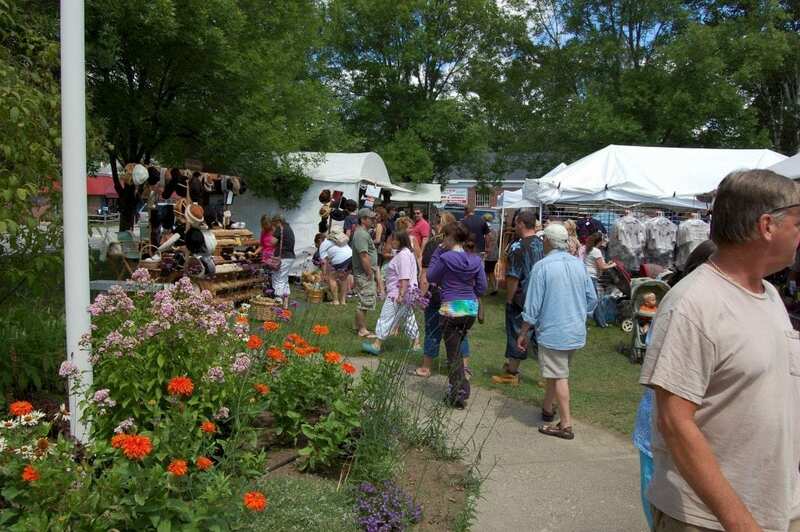 The three-day festival will feature artisan goods and crafts from over 125 different vendors. You’ll find everything from edible treats to paintings and photographs to holiday décor and everything else in between. Make sure to pop in the different shops on Lincoln and Woodstock’s Main Streets. Between the two, you might just finish up your holiday shopping before others even start! Named one of the best scenic highways in New England, the famous Kancamagus Highway dates back to 1600s. Don’t worry, it’s been paved and updated since then! Locally known as just the “Kanc” but also known as New Hampshire Route 112, it connects Lincoln and Conway. It’s a 32 mile long “highway” through the White Mountain National Forest with no cell service, no gas stations and no signs of civilization along the way. It’s known for it’s picturesque views, scenic pull offs, hairpin turns and waterfalls – all great photo ops! With miles of hiking trails and breathtaking scenic views, a drive along the Kanc is a great way to enjoy a beautiful fall day to check out the colorful fall foliage. 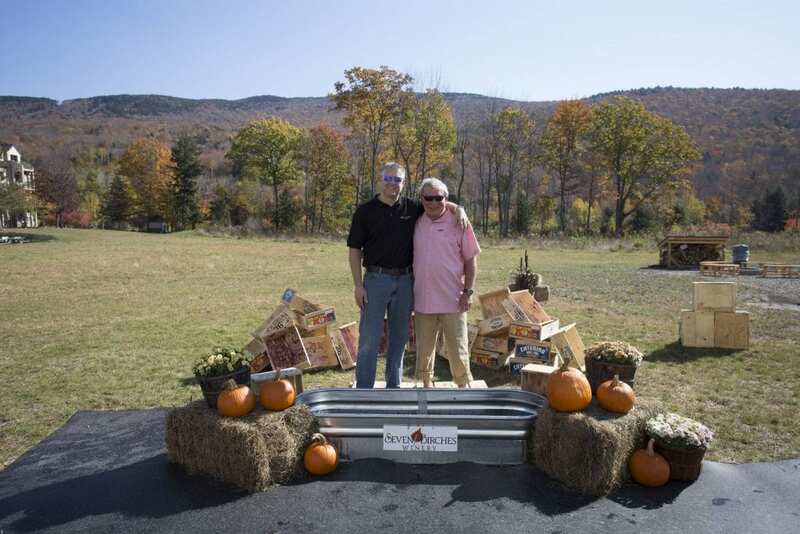 On Saturday, October 20, 2018, Seven Birches Winery at the RiverWalk Resort at Loon Mountain is hosting their 3rd Annual White Mountains Crush Festival. The one-day event is modeled after a longstanding harvest tradition in France and Italy where many of the small vineyards handpick the grapes and stomp the juice out with their feet. If you have ever dreamed of having your own I Love Lucy moment, dress in your best Lucy attire and get your feet dirty. When you’re tired of stomping, head over to the wine tasting room and discover how Seven Birches makes their wine on their popular Meet the Winemakers Tour & Barrel Tasting. At the end of the day, fill up on hearty Italian food at the Family-Style Feast by LaVista Italian Cuisine. For the best views of fall in the White Mountains, you’ll want to get high in the sky. The Cannon Mountain Aerial Tramway is open daily through the middle of October. The famous 80-passenger cable car travels to the 4,080-foot summit of Cannon Mountain in under 10 minutes. At the top, you have breathtaking 360-degree views of the surrounding White Mountains. On a clear day, you can see all the way to Canada! 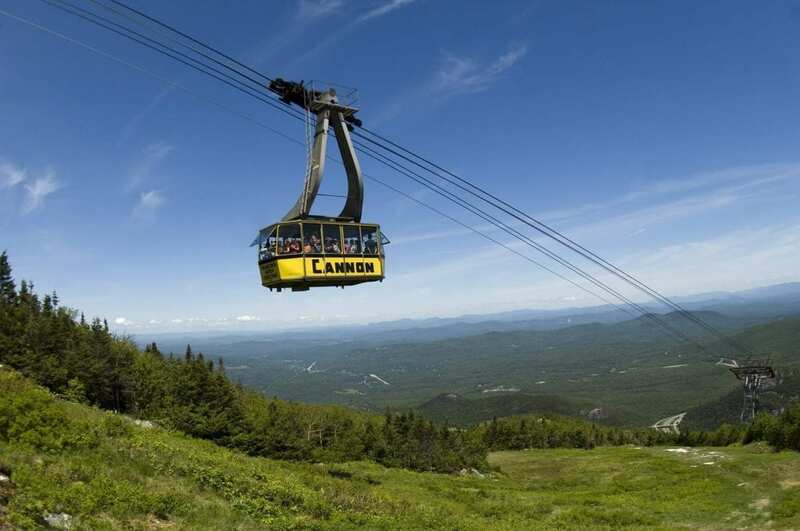 Loon Mountain is home to New Hampshire’s longest scenic Gondola Skyride. Hop on the Gondola Skyride and ride up to the 2,733-foot summit of Loon Peak for stunning panoramic views of the White Mountain National Forest. Make an afternoon of it and have lunch at the Summit Café before exploring the prehistoric glacial caves and play on the mountaintop playground. The best way to explore fall in the White Mountains in the fall is by foot. Lace up your hiking boots and hit one of the many trails in the area. Stop by the Mountain Wanderer to find the perfect fall foliage hike for you. Local tip: Some of the best hikes are off the beaten path! For a bigger adrenaline rush, try a zipline at Loon Mountain or make it a full tour at Alpine Adventures. If you’d rather stay grounded, the Off-Road Adventure Tour will take you to the top of Barron Mountain for awesome views of the foliage. Either way, you can’t wrong with your choice of adventure. With so many things to do, you will quickly see why it’s worth staying a few days and with so many great places to stay, it’s easy to find the perfect place for your family. Take a long weekend and head to the mountains this fall. With incredible scenery, colorful leaves, and lots to do, you’ll quickly realize that the western White Mountains are the place to be.